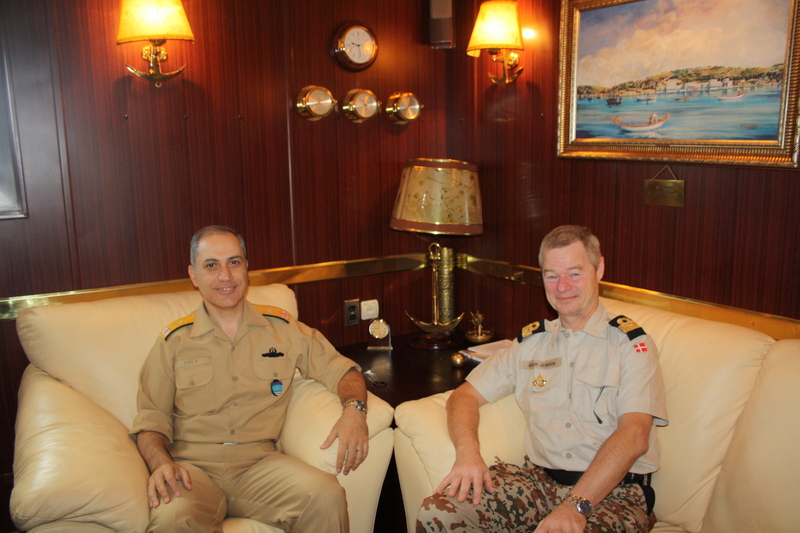 Commodore Aage Buur Jensen Danish Royal Navy, Commander, Combined Task Force 151 (counter piracy) met with his NATO colleague, Rear Admiral Siman A. Tosun, Commander, Task Force 508, during counter-piracy patrols at sea. The meeting took place onboard the Turkish frigate GIRESUN on Jan. 20. The two task force commanders discussed the need for continuing mutual assistance and resource allocation, as well as sharing knowledge and experience, in order to augment the international counter-piracy effort. CTF 151 is currently embarked on USS HALSEY which recently assumed the role of the CTF 151 flagship for Commodore Aage Buur Jensen, Royal Danish Navy and his multi-national CTF 151 command staff Jan. 13. CTF 151 transferred command from the Pakistani Navy who was stationed aboard the USS KIDD (DDG 100). CTF 151 is one of three Task Forces assigned to Combined Maritime Forces. Established in February 2002 the Task Force’s key mission is to conduct counter-piracy operations in the Red Sea, Gulf of Aden, Somali Basin , Arabian Sea and Indian Ocean. It protects and defends the legitimate use of the ocean by fisherman and merchants and stands ready to assist any mariner in distress.